Few seats were occupied at the MLA session on “Old Labor and New Media,” except for the twitter/blog table, which was so over-packed that tweeters had pulled chairs to the table’s side so as not to miss a single word from presenters Lisa Nakamura, Anne Cong-Huyen and Matt Goodwin. I recognized many of the audience members from following their blogs and twitter feeds. It seemed ironic that, in a convention full of standing-room-only panels on the digital humanities, this session on digital media and labor would be so attractive to those of us who engage with digital media in our pedagogy and research, but would be so unknown to everyone else. This was also the only digital humanities panel made up entirely of people of color. 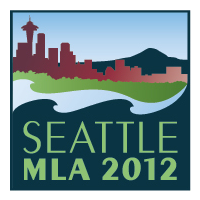 In many ways the panel spoke to the spectacle of MLA. At a convention where nervous doctoral students run by in the hallways, and the sound of weeping can be heard from hotel bathrooms, MLA seemed as much about chaos as it was about building up new ideas. Everyone was dressed in black and white, leading passersby to wonder if they were attending a wedding or a funeral. Unlike other literary conventions, the faculty seemed to hog all the controversy, and most of the questions. Perhaps this was because us graduate students were scared out of our minds, or hastily rehearsing the lines for our next job interview. Perhaps this nervous atmosphere is what made the digital humanities panels so fascinating. Every panel seemed dominated by junior scholars and graduate students, and these panels felt like spaces where we—those who teach and research digital media—didn’t need to restate our common assumptions or convince anyone that digital media was important in understanding and teaching cultural objects. In these smaller panels, most of the questions came from graduate students, as did most of the disagreements. The younger presenters also seemed more critical of digital humanities. For us, digital humanities and etexts seemed obvious. Of course we would use it in our classes. Of course we would have no problem in teaching video games, music videos, commercials and facebook pages. All of that seemed common sense. Celebrating it, as important as it might be for some faculty, seemed redundant for many grad students and junior scholars. However, criticizing it so that we could perform and construct this knowledge better, that seemed worthwhile. 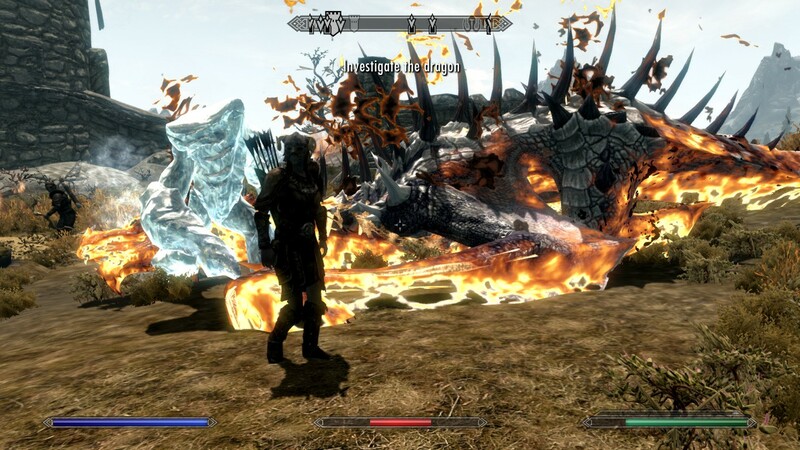 Me slaying a dragon on Skyrim. How could you not want to teach/research that!? “All digital devices that we are celebrating and using to express ourselves have been touched or assembled by Asian women, most of whom will never use or see the device.” These were the opening words of Lisa Nakamura at the “Old Labor and New Media” session, and it struck the blogger table hard. Images of foxconn factories showed the exploitation in manufacturing these devices. 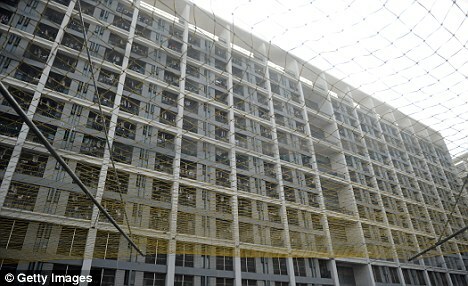 We saw nets hanging from factory buildings like spider webs to keep people from committing suicide. Microchip factories in Malaysia, Xbox factories in South China, Ipad factories in Shinjian, these were all phantoms lurking behind the curtain of our digital utopias. Nakamura herself exposed the racialization of these workers, how companies used the same stereotypes on different races, from Navajo Indians to Malaysian females, to mark them as culturally attuned with the skills to build microchips. Writing semiconductors was seen as similar to weaving blankets. The cultural traditions of the race made them natural workers. The other presenters gave just as hard-hitting, critical presentations, all seeking to dislodge the discourse of digital humanities from its utopian precepts. The opening Q&A question seemed pertinent: How do we construct a discourse that accounts for the vast exploitation (and our own complicity) in using these products, without giving up many of the potentials that these commodities open up? Everyone seemed to join in on this question, students and faculty alike. For Anne Cong-Huyen, much of digital humanities depended on who had access, and digital humanities research too often took words like “the people” and “democracy” for granted, as if no one was excluded from these terms. “When it comes to crowd-sourcing,” Cong-Huyen said, “not all crowds are treated equal.” For Respondant Seth Parlow, scholars “needed to account for exploitative labor through a vocabulary of sabotaging technology.” It was clear that there was still much thinking to be done, but we did have some useful questions. ← The Gamification of Neo-Racism: Bioware’s Dragon Age and Mass Effect series.